Industrial powder coatings cover over 15 % of the British coating industry; and it’s no wonder. Powder coatings are efficient to apply and they provide extreme durability. Therefore, the industrial powder coatings are used in industries such as general manufacture, automotive and marine. Here we will dig deeper into the world of industrial powder coatings! If there is one coating that is suitable for almost everything, it is powder coating. Liquid paint can be running, sagging and uneven; but powder coatings are applicable as dry, free flowing powder which cures to a smooth and texture free protective (and decorative!) layer. 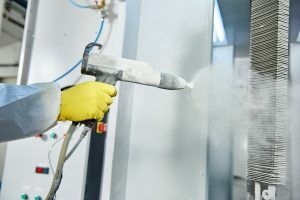 The question however, remains whether you should set up a powder coating line on your premises or hire an expert powder coater to do the job for you. 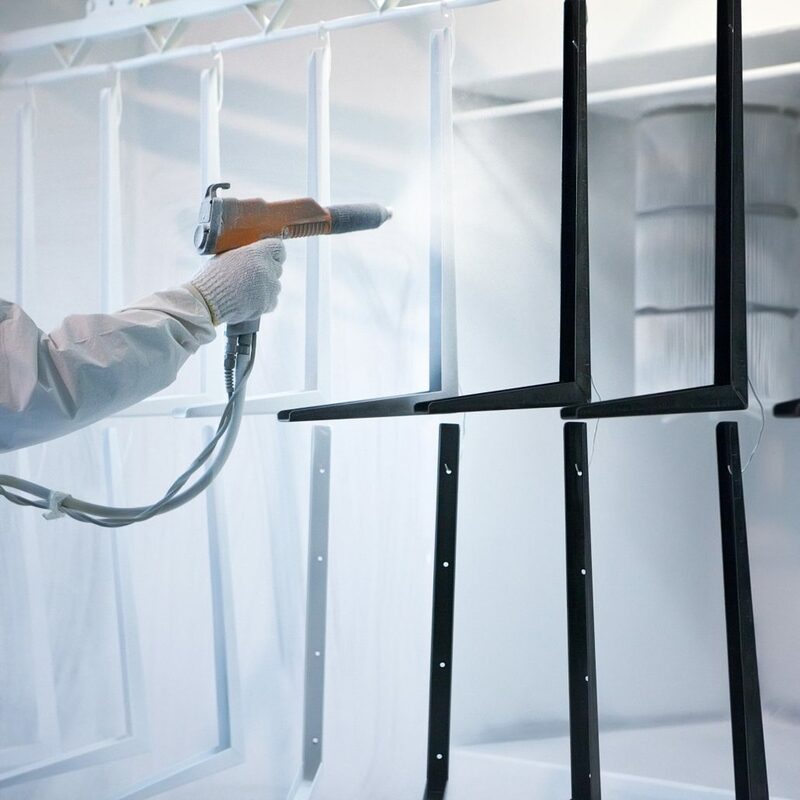 Theoretically, if powder coating will be a standard procedure within your production line, you should consider bringing powder coating in house. However, if powder coating is in occasional use as part of some projects, using an industrial powder coating service is more feasible. Note that if you wish to set up a powder coating line, you need proper equipment! If powder coating is not needed for a lot of projects, outsourcing it to an expert is a possibility. 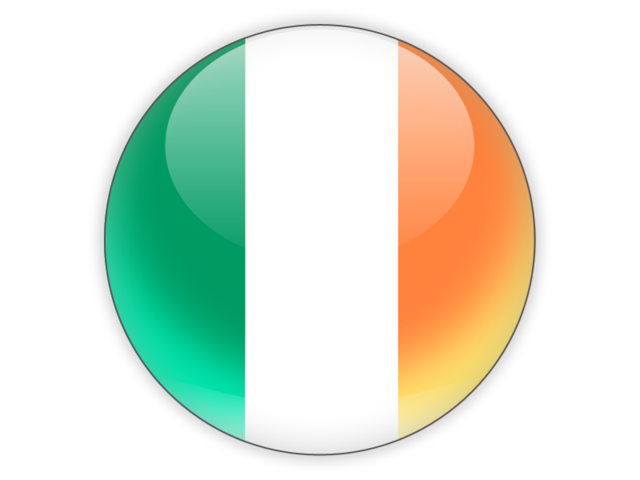 In case you need any additional information regarding industrial powder coatings, do not hesitate to contact us. We are happy to help you with any powder coating project!